Many parents are ready to give their newborn a pacifier to help them feel more calm. Quite a few babies rely on the therapeutic sucking sensation when they are in distress or simply to fall sleep. If it means it avoid tears and screams, parents often oblige. But what are the impacts of the pacifier as the baby develops, especially as their teeth starts to come? We at Smile Reef would like to briefly discuss the impact the pacifier has on your baby’s teeth and gums. 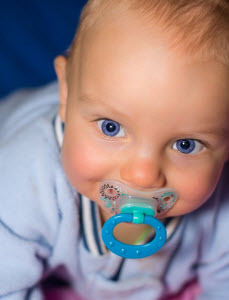 The AGD, Academy of General Dentistry, has related that pacifiers offer advantages and disadvantages. Pacifiers are a sensitive and highly debated subject among parents, even if the child has already demonstrated their take on the binky. –	Infants are provided a source of comfort with a pacifier. –	Because babies with pacifiers sleep less deeply and are more easily roused, pacifiers can contribute to reducing the incidence of sudden infant death syndrome. The development of the mouth and teeth can be harmed with pacifier use. –	Long term use can alter the roof of the mouth’s shape. Contributing to improper mouth growth and creating tooth alignment problems. –	The risk of acute middle ear infections is increased with the use of pacifiers. Generally, the majority of parents agree that the pacifier is the preferred choice over thumb sucking and an amazing tool to calm and soothe a fussy baby. However, a warning among dental experts; it can interfere with the development of healthy teeth once your child is preschool-aged. In the event your child continues the dependence of using a pacifier past the age of three, severe dental malformation can occur, which is even more alarming. Also consider children that use pacifiers beyond the toddler years are more likely to need braces in later years. If you feel your infant is in need of a pacifier, consider applying these tips below to avoid the serious repercussions of their dental health. 1) Limit the use of a pacifier when your infant falls asleep. 2) To permit the passage of air, choose pacifiers with ventilation holes in the shield. 3) Clean and change the pacifier frequently. 1) Accidentally on purpose forget to bring it with you when you leave the house or go on vacation. 2) Cut the pacifier shorter or pierce the top to decrease the satisfaction of the sucking effect. 3) Ask your pediatric dentist for additional advice if your child struggles with breaking the binky habit. Smile Reef knows that some parents rely on the pacifier to give their babies the comfort they crave. Be sure in addition to keeping the pacifier clean, you are practicing good oral care for your baby and routinely scheduling dental visits to monitor their growth. Call us today to schedule your baby’s appointment. The school year means schedules that are jam packed full of activities. 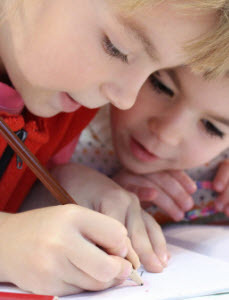 The school day takes up some of the day, after school activities including sports and enough time to get some homework done and showered before bed. It does not leave a lot of time to put lots of effort into your children’s dental care. The business of the school year sends parents looking for ways to take the stress out of the life. This can often mean cutting corners with brushing, flossing, safety and food prep. These areas then start to suffer. Following are some quick and easy tips on how to continue to put effort into caring for your child’s teeth this school year! Wake Up Early & Brush Teeth Before Breakfast: This is an important step to take for children during school year. You want to be sure that you give your child enough time to wake up and get ready. They need to have time to get in the bathroom and do a good and thorough dental cleaning. Using a good toothbrush and toothpaste in the morning is a great way to remove the bacteria and germs that are lingering on the teeth from the night’s sleep. You also want to make sure kids are aware of the best ways to clean their teeth and how to properly floss. Giving them time to do this without feeling rushed is a great way to ensure that it is done right. It is also important to brush teeth before eating breakfast as brushing too soon after eating can damage the enamel in its weakened state. Consequently, it’s a good idea to brush your teeth before eating an acidic food and to drink a glass of water when you are finished to wash away the acids. Pack Food for Healthier School Lunches: One area that moms can start to take the easy way out is packing school lunches. There are many options at the store of prepacked and premade options that are quick to toss in a child’s lunch. The problem is that many of these items are full of preservatives as well as packed with sugar. You want to try and substitute the treats and sugary drinks out of their lunch with better options. This can be an easy fix with a water bottle and some fresh fruit and vegetables. The packaged foods that you buy should be checked closely. Something that you don’t know is that the longer the shelf life is a packaged food the worse it can be for your teeth. The food contains lots of starch and that is not good to have on your teeth for some time. The starch sticks to your child’s teeth and that can be a perfect area for bacteria to grow causing cavities. Try harder to replace these packaged foods with fresh things that you can get at your local grocer. Smile Reef offers dental exams and pediatric dental care. Contact us to learn more today!